The mission of Holistic Urology Specialists – Functional Urology (FU) is to increase the state of health of men and women with urologic diseases by utilizing the Functional Medicine paradigm of treatment as a platform to Identify and treat the underlying root cause or causes of the patient’s condition. The Patient – practitioner relationship has inherent therapeutic value and is essential in the healing process. The multifactorial nature of health and disease is appreciated. 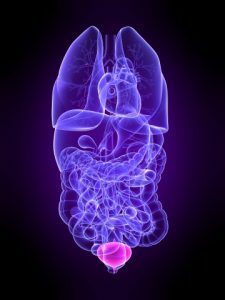 The harmonious functioning of all aspects of the individual is essential to recovery from and prevention of urologic conditions. Every patient is a person, beyond the confines of any disease, and our treatments care for the whole person. Exploring the relationship of science, nutrition and natural supplements is a major focus, which we explore and develop through cutting edge laboratory tests and protocols based on scientific and clinical research trials. The CHU-FU is dedicated to exploring complementary and alternative healing practices in the context of rigorous science. Identify, Evaluate, Restore and Heal are our four stages of treatment. We identify and evaluate fundamental underlying causes on all levels including physical, mental, emotional, and spiritual, directing treatment at root causes while attempting to relieve uncomfortable symptoms. We treat the cause while ameliorating symptoms with a therapeutic focus. Providing the best possible treatment for patients is the ultimate goal, whether it is conventional, alternative or a combination of therapies. At the CHU-FU, alternative does not imply the dismissal or rejection of the value of conventional medicine. Effective nutritional and natural interventions that are safe and effective should be the first option. Our professional role is to provide the best and safest choice of healing, evaluate the effectiveness of modalities, and recommend a combination and sequence of modalities based on each individual’s particular case. Holistic Urology Specialists – Functional Urology focuses on good medicine and good medicine focuses on good science while being open to new paradigms. Prevention is the best medicine and the focus for avoiding urologic diseases. This is accomplished through education and promotion of life-habits that encourage good health. Risk factors and hereditary susceptibilities to disease are assessed and appropriate interventions are recommended to avoid further harm and risk to the patient. The doctor is a teacher. Part of our treatment is to educate and encourage the patient to take responsibility for their health. We focus on empowering and motivating the patient to assume responsibility while attempting to inspire hope. Holistic Urology Specialists and the Center for Functional Urology employ highly trained and experienced practitioners and trained professionals whose philosophy of patient care parallels the principles of the Center. 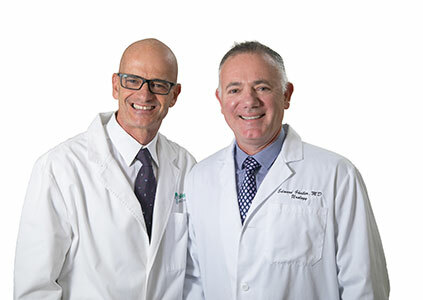 Edward Gheiler, MD & Diego Rutenberg, L.Ac.